Audrey and I are throwing a #PalliserParty and you're invited! We had so much fun reading Anthony Trollope's Chronicles of Barsetshire in 2015 that we decided to give the Pallisers a try... and Audrey even created a badge to make us official! 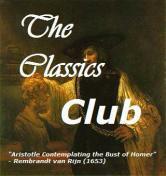 Like the Chronicles of Barsetshire, there are six novels in the Palliser series. Unlike the ecclesiastical leaning of the #6Barsets, the Pallisers are sometimes referred to as Trollope's Parliamentary Novels. The common threads throughout the series are the wealthy aristocrat and politician Plantagenet Palliser, and his wife, Lady Glencora. The plots involve British and Irish politics in varying degrees, specifically in and around Parliament. The Pallisers do not always play major roles, and in The Eustace Diamonds they merely comment on the main action. 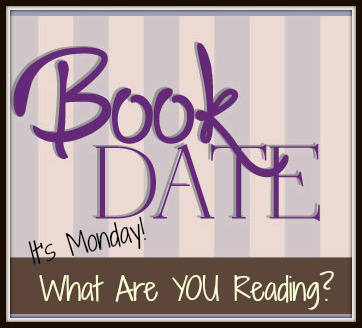 With #6Barsets we read one book every two months, but plan to keep it even more flexible with this series. There will be no formal check-ins or discussion questions. We simply chat on twitter using the hashtag #PalliserParty as we read. As a little teaser, here is the first paragraph of Can You Forgive Her? The goodreads summary is here. Mr. Vavasor and His Daughter. Whether or no, she, whom you are to forgive, if you can, did or did not belong to the Upper Ten Thousand of this our English world, I am not prepared to say with any strength of affirmation. By blood she was connected with big people,—distantly connected with some very big people indeed, people who belonged to the Upper Ten Hundred if there be any such division; but of these very big relations she had known and seen little, and they had cared as little for her. Her grandfather, Squire Vavasor of Vavasor Hall, in Westmoreland, was a country gentleman, possessing some thousand a year at the outside, and he therefore never came up to London, and had no ambition to have himself numbered as one in any exclusive set. A hot-headed, ignorant, honest old gentleman, he lived ever at Vavasor Hall, declaring to any who would listen to him, that the country was going to the mischief, and congratulating himself that at any rate, in his county, parliamentary reform had been powerless to alter the old political arrangements. Alice Vavasor, whose offence against the world I am to tell you, and if possible to excuse, was the daughter of his younger son; and as her father, John Vavasor, had done nothing to raise the family name to eminence, Alice could not lay claim to any high position from her birth as a Vavasor. John Vavasor had come up to London early in life as a barrister, and had failed. He had failed at least in attaining either much wealth or much repute, though he had succeeded in earning, or perhaps I might better say, in obtaining, a livelihood. 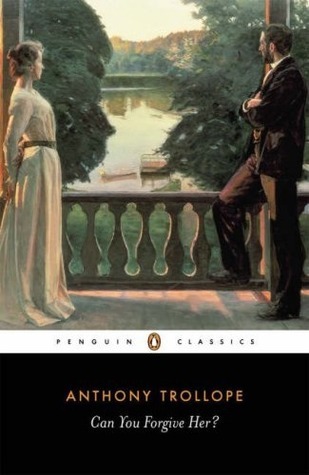 He had married a lady somewhat older than himself, who was in possession of four hundred a year, and who was related to those big people to whom I have alluded. Who these were and the special nature of the relationship, I shall be called upon to explain hereafter, but at present it will suffice to say that Alice Macleod gave great offence to all her friends by her marriage. She did not, however, give them much time for the indulgence of their anger. Having given birth to a daughter within twelve months of her marriage, she died, leaving in abeyance that question as to whether the fault of her marriage should or should not be pardoned by her family. 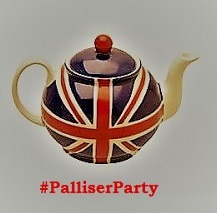 Would you like to attend our #PalliserParty? 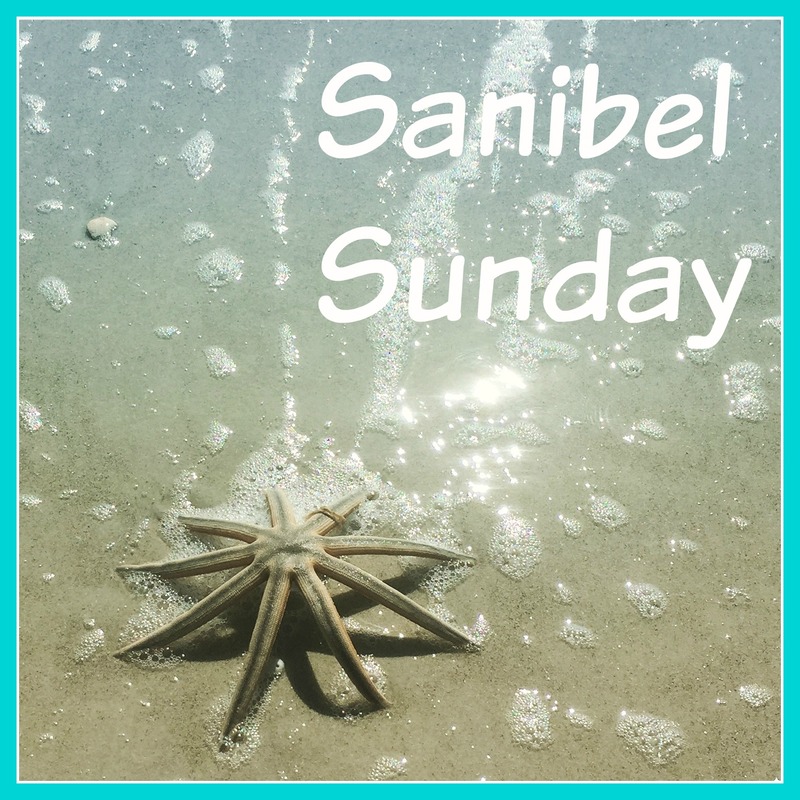 Our first full week in Sanibel has been a blur of sunshine, white sandy beaches, and time with the family. Readjusting to island life was surprisingly easy! I'm trying to get into a routine of listening to an audiobook on my morning walk and reading (or at least trying) for an hour most afternoons. Last night we helped friends celebrate their 50th wedding anniversary... a very memorable evening. Storms and high winds are in the forecast this afternoon and evening. 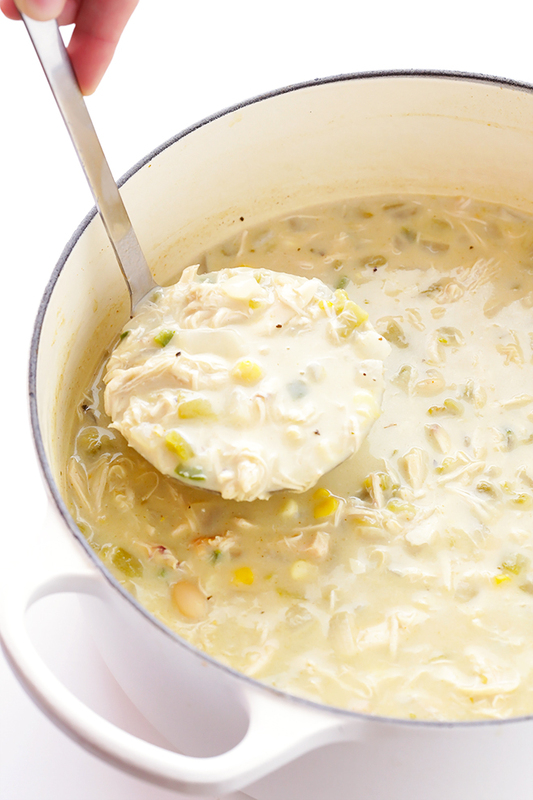 The Sunday farmers market dinner will go on, but we'll avoid grilling just in case. Set in a contemporary southern California beach town, the main characters in this novel share ties to a black community church. 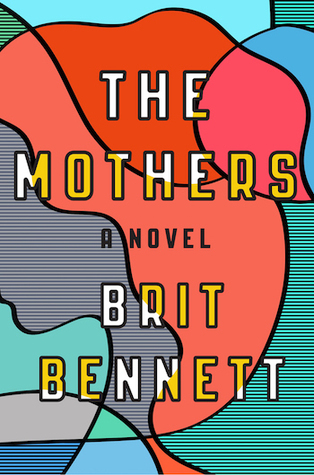 "The Mothers" refers to a group of influential, but gossipy, older church women. 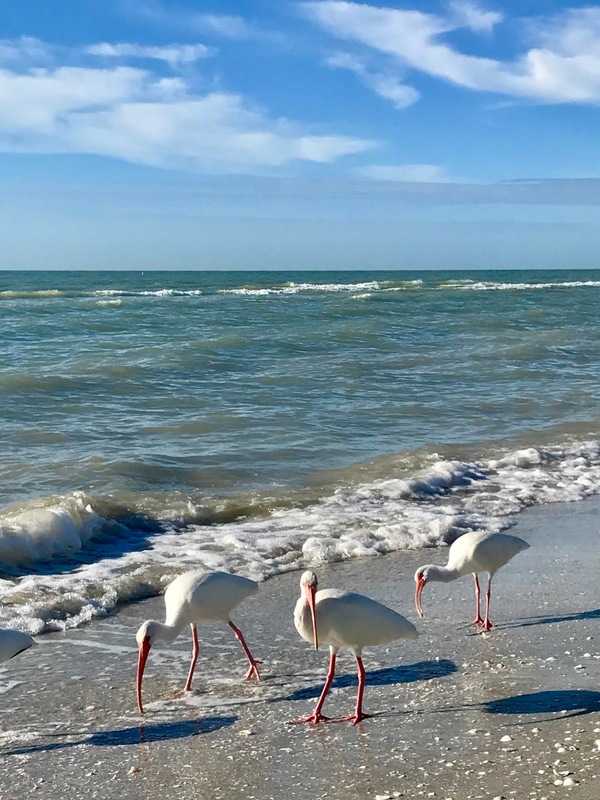 Many serious issues are explored in The Mothers - family, love, loss, grief, friendship, secrets, and more - but it would be incorrect to say the novel is about any one of them. 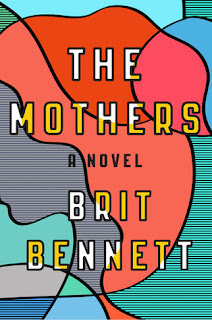 The main thing to know is that Brit Bennett's writing is excellent! In fact, the writing is the real star of this debut novel. After reading just two or three pages, I already had several passages marked. The characters rang true and, despite some frustration with their bad choices, I enjoyed the story very much. It's hard to believe the author was only 25 when she wrote this book. I'd say Brit Bennet's future looks bright! This is the first book from my Book Culture Selects quarterly paperback fiction subscription - a very thoughtful Christmas present from my daughter. Set in a rural Vermont area bordering Canada known as Northeast Kingdom, the twelve chapters of this book make up twelve fragments of Kinneson family history. They are descendants of abolitionists and whiskey distillers, but the stories center on Jim Kinneson during his adolescent years in the 1950s. Not something I would have chosen for myself but, after three chapters, I am enjoying it. For Rachel's readalong... I'm approaching this as a read/listen combination and just passed the 50% mark. Look for my thoughts on Part I this week. Remember how much I loved Trollope's Barsetshire Chronicles? Well, the #PalliserParty will begin at the end of the month. Feel free to read along... the more the merrier! My favorite meal this week came from inspiralized.com. I use my spiralizer frequently at home and decided to purchase one for my Florida kitchen, too. (I foresee a Weekend Cooking post in the near future!) 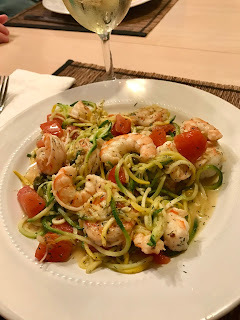 Anyway, this Lemon-Dill Zucchini Pasta with Shrimp and Capers was absolutely delicious. After the prep, cooking took less than ten minutes. 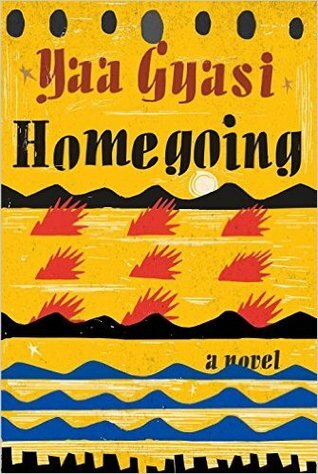 My literary year began on a high note when I selected Homegoing as my First Book of 2017. 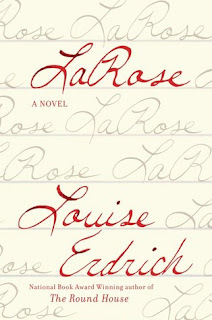 The novel appeared on year-end 'best of' lists from the New York Times to trusted blogging friends and was the 2016 release I most regret not reading before the year ended. Set in 18th-century Africa, the novel opens with the story of two half-sisters separated by circumstances beyond control. One is sold into slavery, while the other is married off to a British slave dealer. As Homegoing unfolds, the chapters move forward generation by generation to the present day, with each focusing on one descendant. A family tree at the beginning proved extremely helpful! As you would expect, the contrast between the two branches of the family is dramatic. 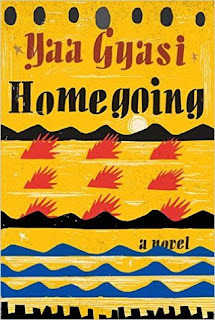 Homegoing is a very moving novel... Gyasi made me FEEL. I was fully invested in nearly all of her characters - quite a feat considering the sheer number of them. In fact, most are deserving of their own novel. My sole complaint is that when each chapter ended and the narrative moved on to the next generation, I was left wanting more. 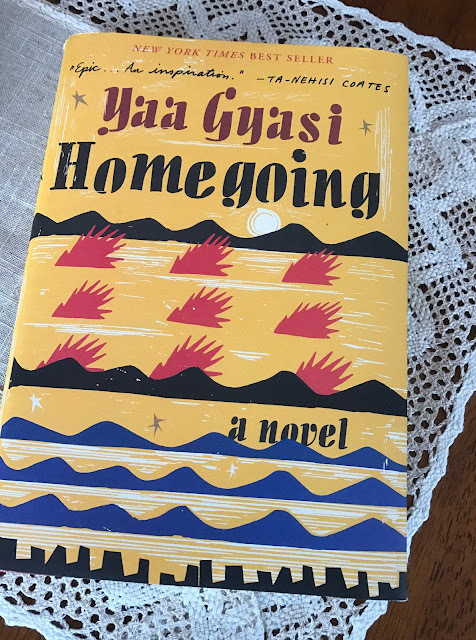 Yaa Gyasi is a debut author to watch. 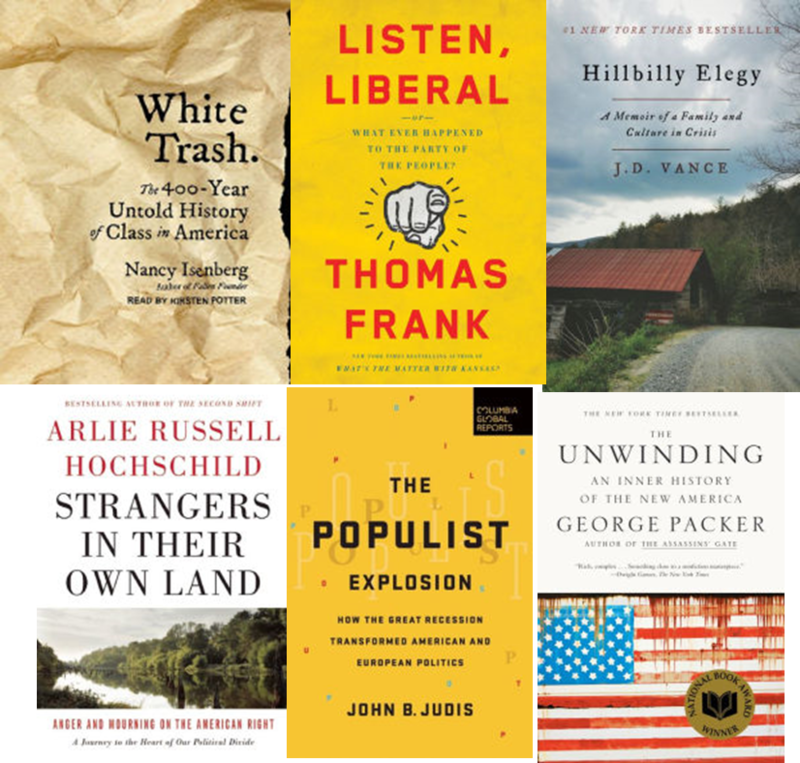 She will be awarded the John Leonard Prize, recognizing an outstanding first book in any genre, at the National Book Critics Circle Awards in March. I can't wait to see what she writes next. Good morning from sunny Sanibel, Florida! Illness and winter storms delayed our departure for several days, but we finally arrived late Thursday afternoon. The road trip was mostly uneventful... traveling with our daughter and the dog meant sticking to familiar routes and pet-friendy hotels, and that was fine. I just wanted to get here and wasn't as concerned with seeing new things along the way. Friday was spent cleaning, unpacking, and grocery shopping, and then my father-in-law took us all out to dinner. 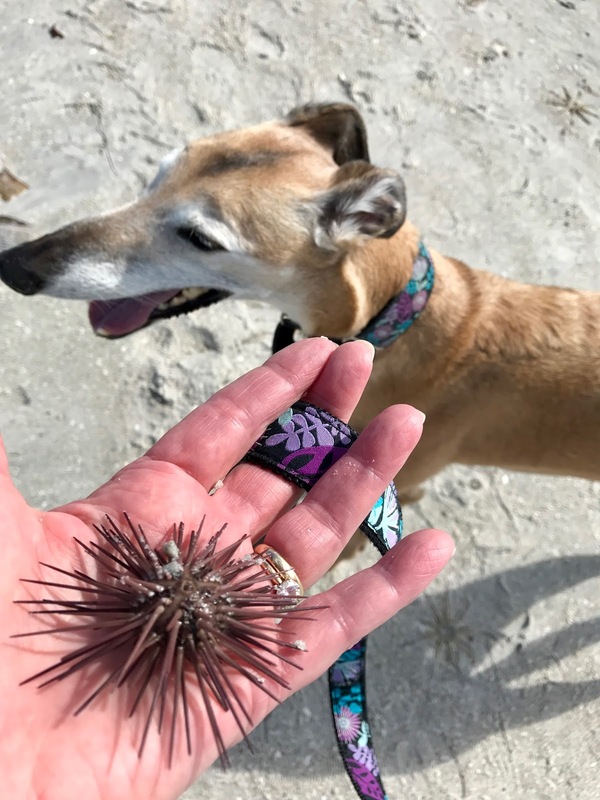 My first beach walk was Saturday morning. I found sand dollars... lots of them! I rinsed and bleached them, and now they're soaking up the sun. Hopefully, they'll bleach out ever more over time. Sand dollars are my favorite, but have proved to be surprisingly elusive over the past few years. Last night we grilled pesto turkey burgers (the best turkey burgers ever) and ate outside. I'm so happy to be back! 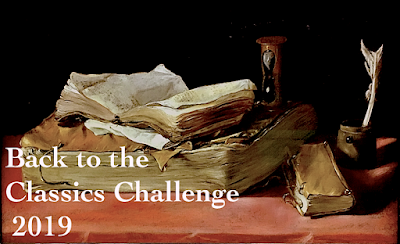 It's finally time to face the fact that we don't listen to audiobooks in the car. We tried but are constantly pausing them to talk, or forgetting to pause and then trying to figure out where we left off. It's just too frustrating. I'll save the audiobooks for when I'm alone in the car or walking on the beach. I didn't finish any books in print this week either. Such a beautifully written novel! I want to read it slowly and savor every page. My frustration with the characters and their bad choices seems to be increasing, but so far it's an excellent book. This for a readalong hosted by Rachel. Part 1 discussion is coming up January 23. I borrowed the audio from the library, but have since purchased the kindle edition, too. I've read nearly 25% and am finding it very interesting. We're off to the farmers market this morning. Our Sunday "Farmers Market Dinners"with my father-in-law have become a tradition. We buy whatever produce, meat, fish, or bread looks appealing (and almost always some homemade guacamole, too) then try to come up with an interesting and delicious way to put it all together. 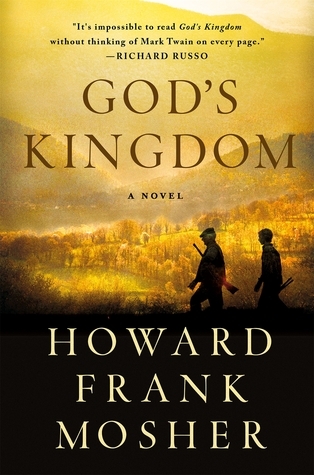 I finished this wonderful debut novel last night... and now that we're here for another day or two, I might even write a review. 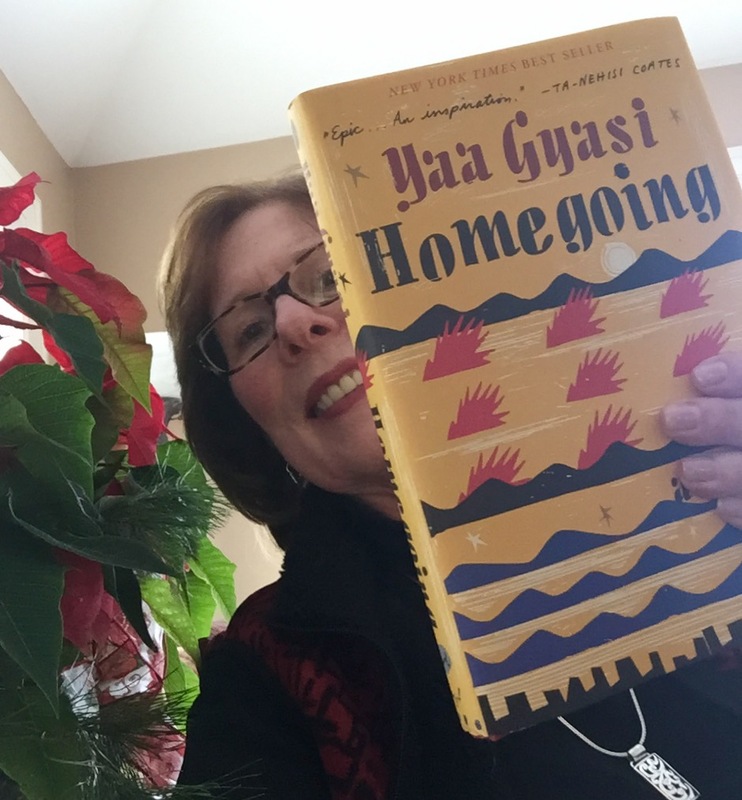 Gyasi is an author to watch! I have listened to nearly 40% of this audiobook. 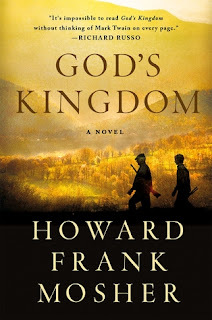 The author's narration is excellent and the story is good... but I'm just not listening enough and progress is too slow. This needs to be a read/listen combination. I put the ebook on hold at two libraries and will pick up where I left off when it becomes available, or when I can walk and listen again in Florida... whichever comes first. 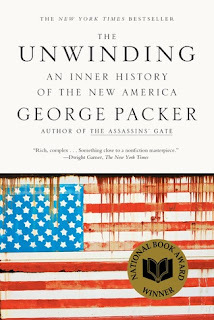 This book sounds interesting, relevant, and timely. 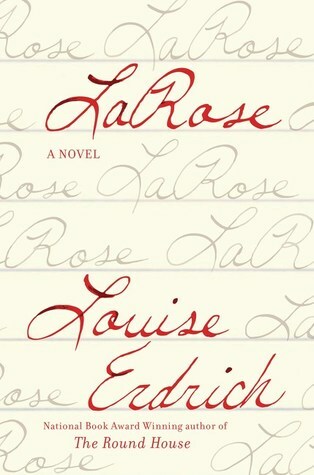 I downloaded the audio version from my library after putting LaRose aside and am happy to report that it is instantly engaging. Rachel at Hibernator's Library is hosting a January/February read-along. Click here for her intro post. 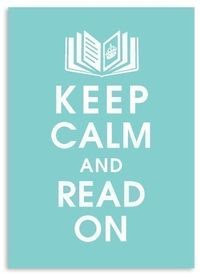 I'll probably start another novel today, too. Plans are uncertain now. As soon as our daughter is feeling better, we'll head south. It's the end of a long New Years weekend, and we are thankful for an extra day... everyone is sick or recovering. One of our daughters got sick over Christmas, then my sister and parents all got the flu (despite the shot! ), and now my husband and I have bad colds. Needless to say, there were no festivities to ring in the New Year. My big accomplishment yesterday was taking the ornaments off the Christmas tree. Beyond that, it was a quiet day on the couch with tea, my laptop, and a book. I'm listening to this... the author's narration is perfect! After nearly ten days of not being able to focus, I decided to give some lighter women's fiction a try. 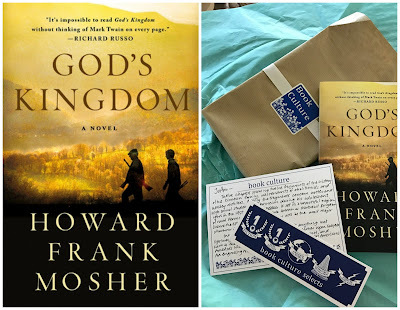 Regular readers know that's rarely my genre of choice, but it turned out to be just what I needed during this busy season. I started Winter Street on the 23rd and had read all three books by the 28th. My time with the lovably dysfunctional Quinn clan (so much drama in a single family!) in their Nantucket inn at Christmastime was a wonderfully relaxing escape from my own hectic holiday schedule. I was a little disappointed with some loose ends at the end of book three, but have since learned that there will be a fourth book coming in October of 2017. It will surely be on my holiday reading list! This cozy mystery was another bit of escapist reading during a busy week. 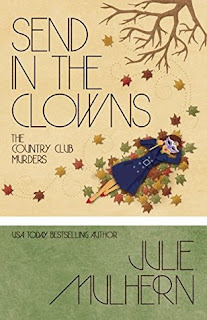 I borrowed it from my library via Hoopla and enjoyed the trip back to the 1970s... it's always fun to spend a few hours with Ellison and company. This week will be all about packing, cleaning, and tying up loose ends. We're leaving for Florida on Friday or Saturday, so I may disappear for a week while we drive down and settle in. 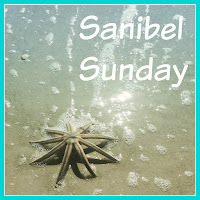 My next update will be a Sanibel Sunday! 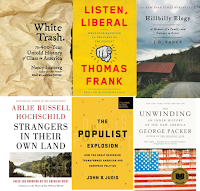 What have you been reading during this holiday week?